There are 24271 posts in this topic. You are on page 480 of 486. Hi! Can you please share the URL, where to get the figurines? Thanks! I found them on eBay. Just type in the search button Konami Alien figure, or just Konami Alien, and they should pop up. Just a tad pricey, but they’re really detailed. The drop ship is a little bit higher than the other ones. 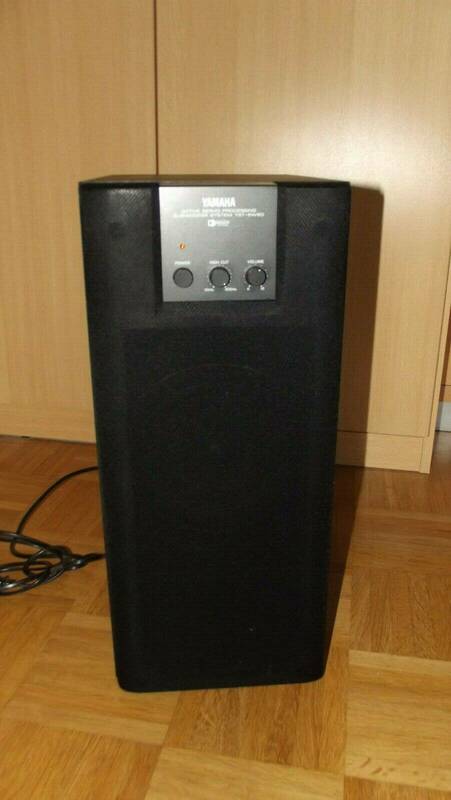 I contacted the seller at Alibaba and they came back to me with an offer on "WKM-D2E4P". I asked them and apparently, "HP-D2E4P-4C is same as WKM-D2E4P". 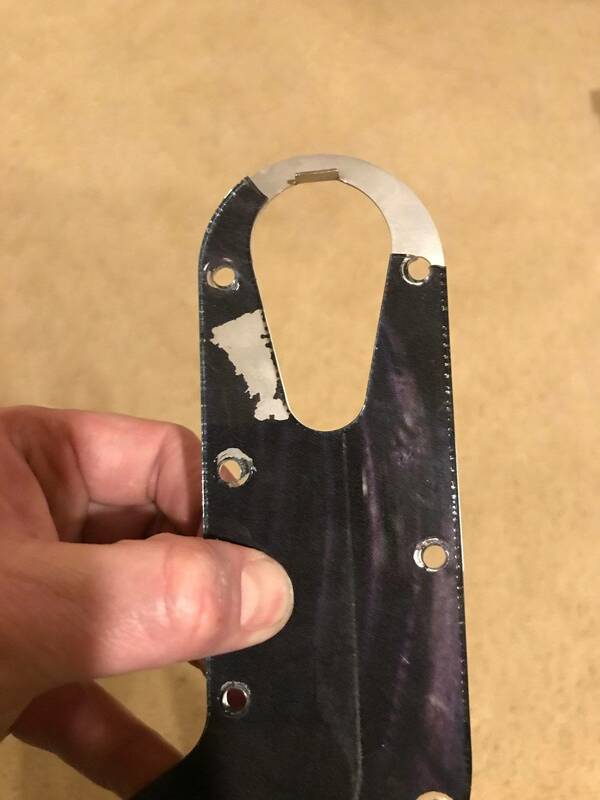 Just checking, anyone know if this is the case? 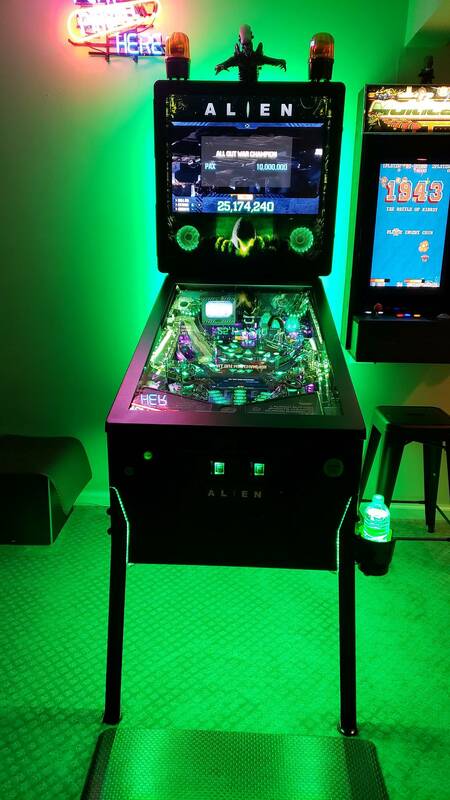 Just got my Alien this weekend. Currently no coils are working. Anything to check? I’m kind of suspicious of the interlock switch. Easy way to bypass? Believe just connecting the wires going to it together with something like a test lead will be the same as the door closed. Jumped the wires and nothing. Opening/closing the door doesn’t do anything either. Talked to DylanFan71 on the phone. All the LED's for the 70v (high power) are on when the game turns on, but after maybe 20 seconds the HV cuts out. 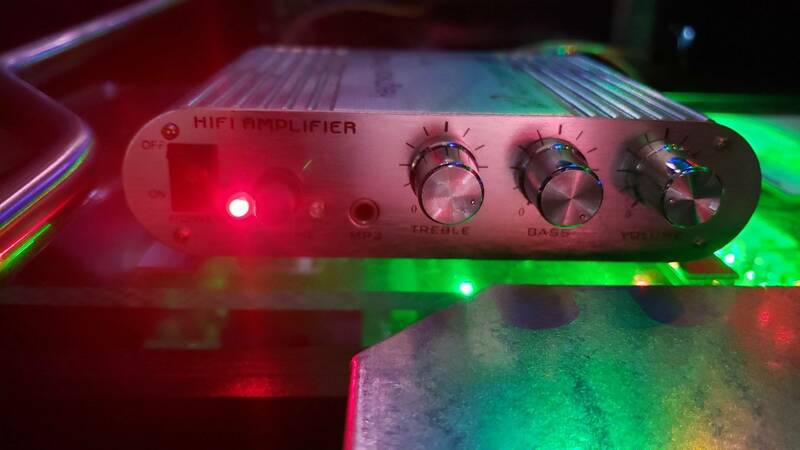 All the LED's in the 70v section slowly fade off, and then there is no high power. 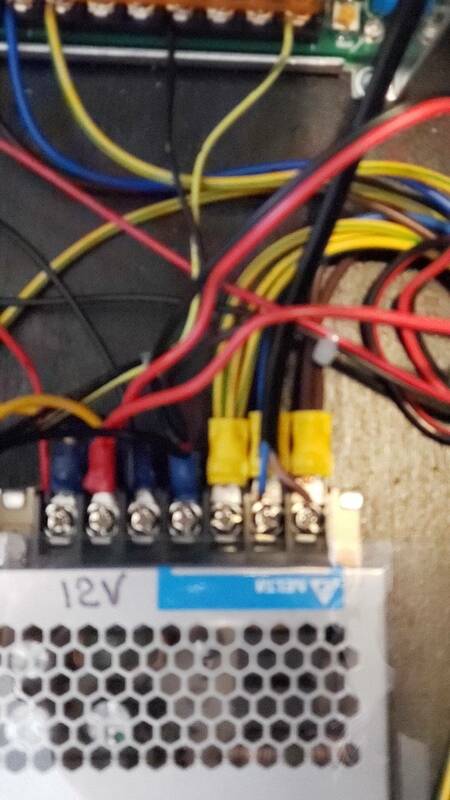 If someone can take a picture of their coin door interlock wiring that would be helpful so we can verify. 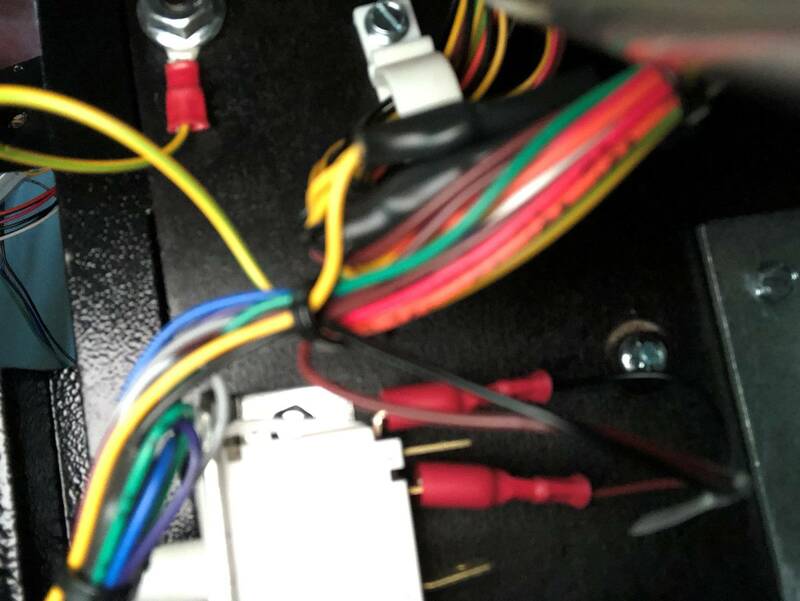 Shot in the dark: if the interlock switch isn’t the culprit, check in the backbox to see if the LED strip is shorting on the metal bracket that holds the monitor. On my prototype, this was a problem that caused the exact symptom you describe. 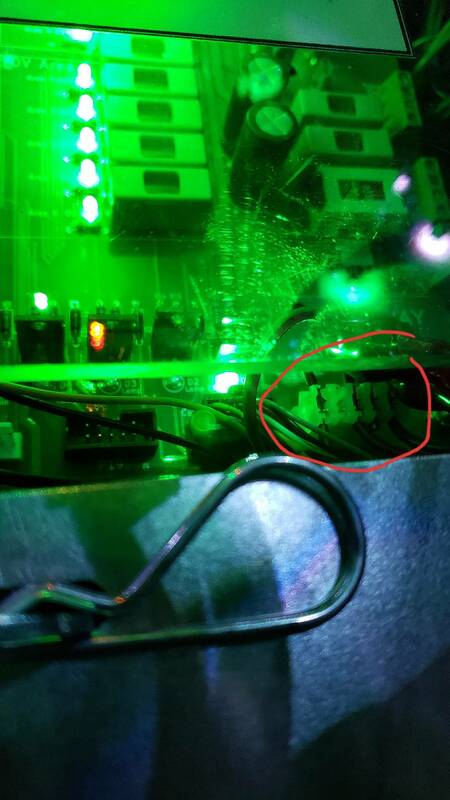 I advised the factory and suggested they modify the LEDs and/or bracket to prevent that, but who knows if that happened on any given machine. 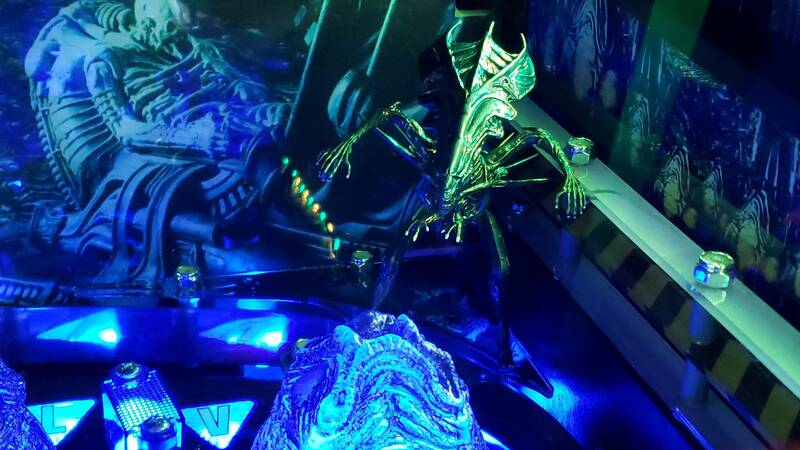 Please excuse my ignorance but did Alien ever offer physical ball lock? If so why was it removed and can it be added back in a home "rom"? Physical Hypersleep locks were envisioned but never existed on “real” machines. Hi! I put JJP inviglass in mine, worked fine. How hard was it replacing the glass? Not hard at all. One has to remove some screws and replace the glass and tighten the screws back. nice as I had the same question. I guess I'll need to get some HD glass again! Hey guys...just dropping in again to let everyone know that I will have a handful of these at TPF with me to sell. We decided that we will be only producing 99 of these and each of them will be numbered and have a certificate of authenticity signed by the artist to go with them. Let me know if interested and I will mark your name on one, but as of now there will likely only be around 10 on hand at the show but they can still be ordered if you can't make it down. Each of these will be come with a protective film on the front and packed in a foam pocket at the show as well as being part of the shipping process before being boxed. We will also be releasing a second piece of art in the form of an acrylic backglass in the next few days that will also be launched at TPF! PDI for me as well ( best)...easy, BUT... be very careful to reinstall the rubber bushings around the posts ( 1 per side) when reassembling. I ended up cutting rubber bushings for each post when changing mine, to be safe. Without the bushing, glass can shift and will explode if it hits a post .. Agreed...The Stern is actually pretty good ( better than invisiglass by comparison), but need a wide body sheet here, obviously..
next time you sell PM me! sorry remind me is this a translite replacement if you want to cover the lcd like was shown earlier on? Yessir. It is the size of the original acrylic panel that is in the game and would fill the whole area if wanted. 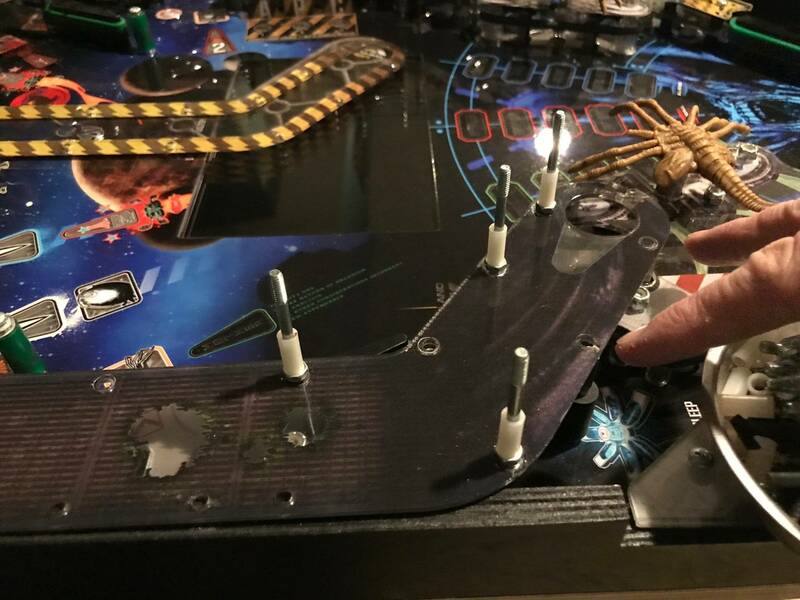 I did not drill the holes to mount it in the game (although it would be super easy to do) as I think most people will likely use it as wall art or put in a light box as I showed a few days ago on this thread and some might not want a frame on it, making the holes not pretty to look at...lol. 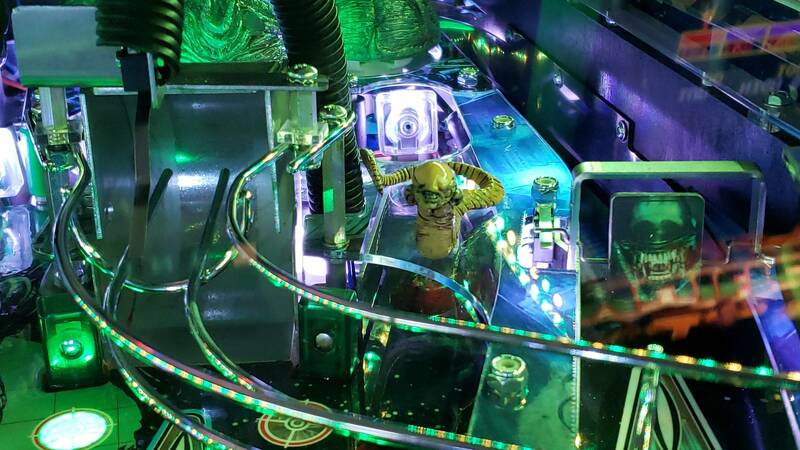 I am going to start its own thread sometime this week before TPF, but wanted to show it first here for all the Alien fans as we decided to only do a run of 99 of them. Agreed. That is what I think most will do...including myself These will actually have the limited number printed on them as well as the certificate to go with them. I have a question about the derelict ship mode. Are the posts in the orbits supposed to be activated when shooting up the orbits? 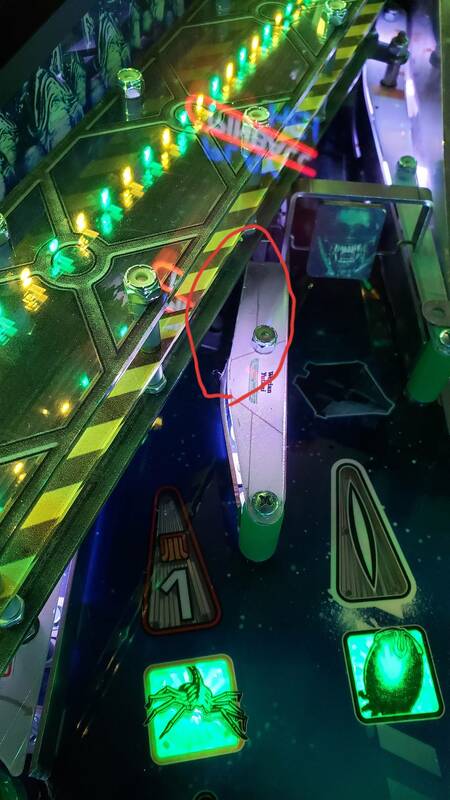 Also.... if anyone got a tip on how to hit the hypersleep lock ramp a little more accurate I would appreciate the help, feels like I will never get to see the hypersleep multiball. The "explore" orbit (I believe its arrow will be blue) should divert the ball into the pops. The "boost" orbit (green) increases pop value and adds time, but does not divert to the pops. The colors alternate after each orbit shot. Instructions on the screen should remind you which is which. 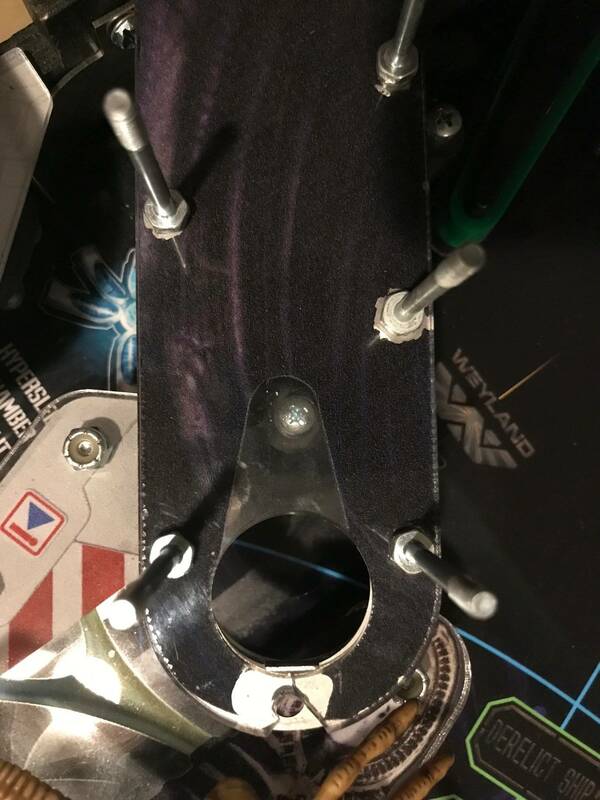 Alien owners - if you don't need/want the inner side art light (EL) blades, PM me and I will buy. They can be removed easily. 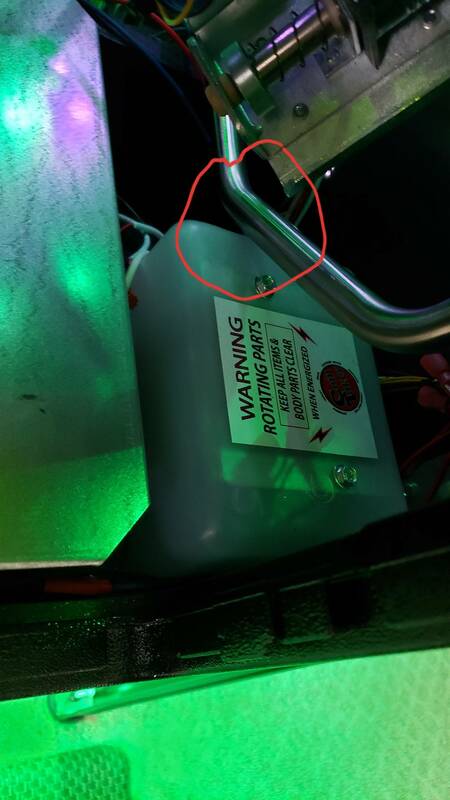 These are NOT the side art lights on the outside of the cab but the EL light blades that make the art on the inner blades light up. Received today a big bag of goodies (= spare parts for Alien) from Free Play. 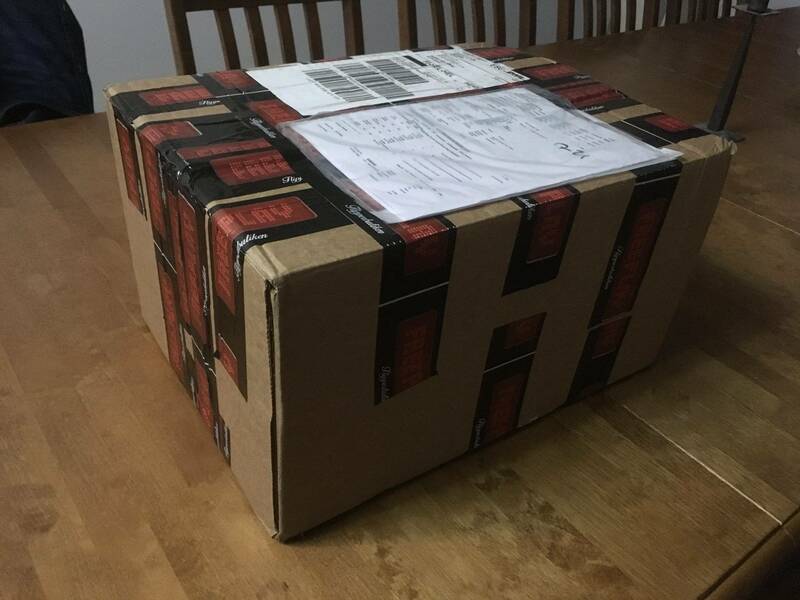 Also received from Alibaba the spare-computer today. 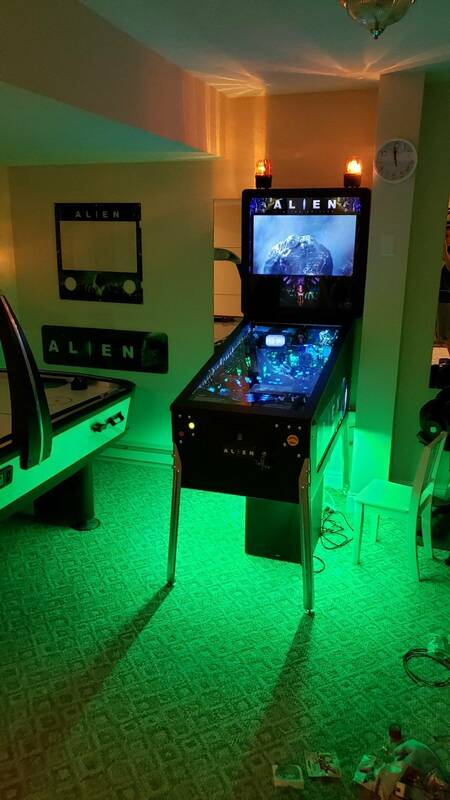 Managed to get the Alien spare computer booting. Mobo with ram and ssd was from Alibaba. 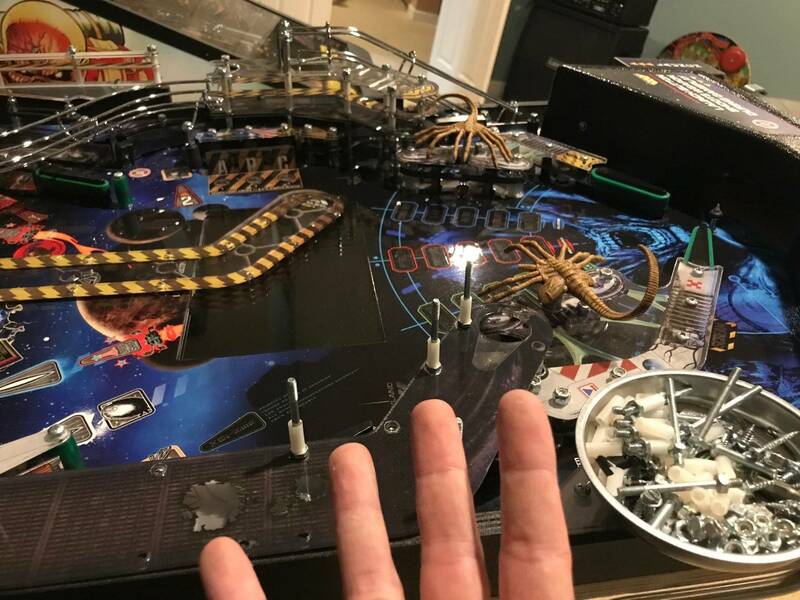 Thanks for Weir Pinball for the excellent guide! In the display there is some vertical bar in the right edge of the picture, but I guess this is normal when using a standard PC display? I suspect that bar is an artifact of the positioning tricks we used for the main screen vs Airlock screen. 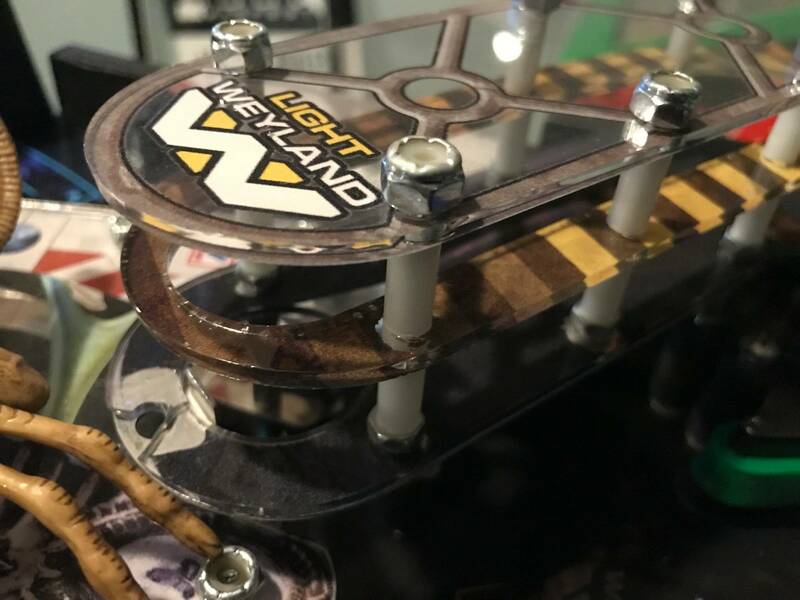 A common issue with Alien is the left return lane plastics breaking and cracking, in later runs Heighway attempted to correct the issue by changing the design, but it still didn't completely solve the problem. 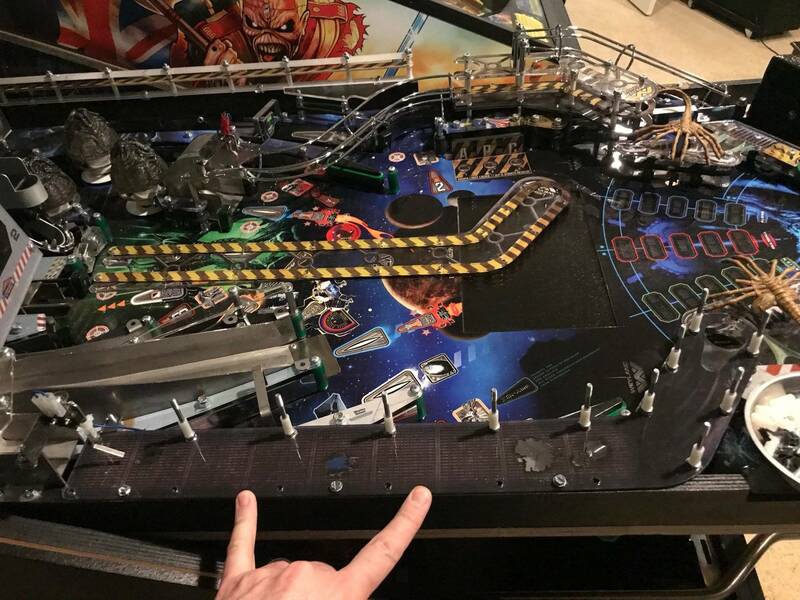 This is such a long run, the ball builds up momentum and all the force of the impact either hits a thin piece of plastic in earlier designs.. or a post that eventually breaks in the same way. 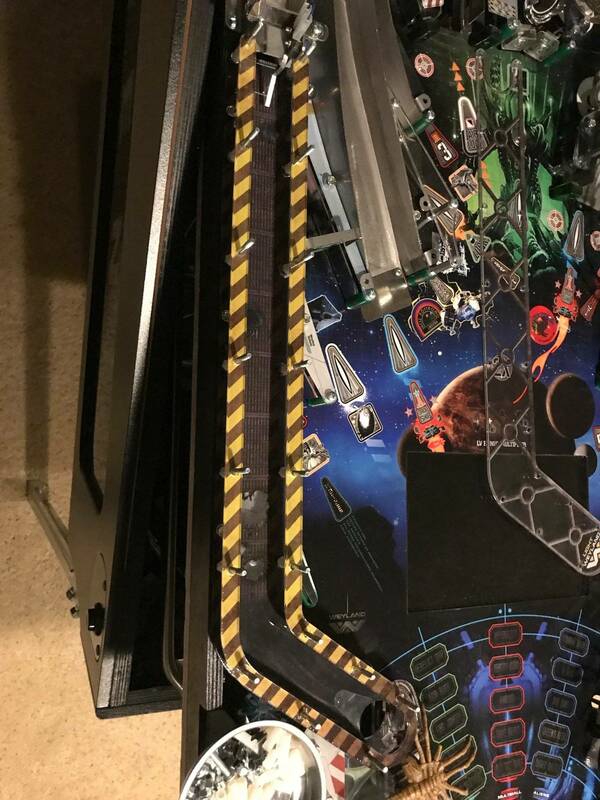 Combine this with fragile Lexan that all games were made with (vs stronger PETG), and this is a much bigger problem. Here is a picture of it installed on my game. This looks a little different because I have an earlier run game, but was given a lower plastic piece from a later run game, so the top two pieces are missing the post.. but the bottom has a post hole. 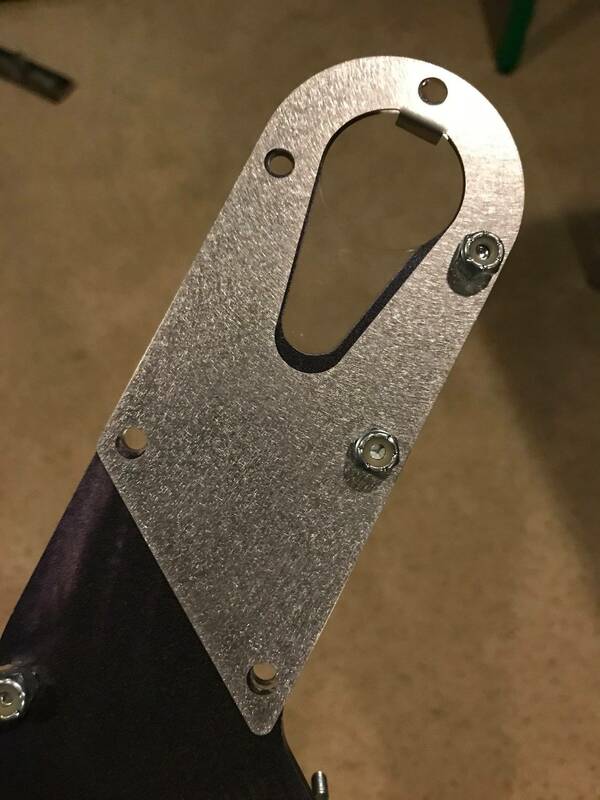 To install, remove all the nylon nuts from the left inlane.. Remove the top plastic, and all of the plastic spacers.. Carefully remove the second layer plastic, and all of the next level of plastic spacers. Then remove the few metal posts loosely placed in the sidewall, as well as the few wood screws. 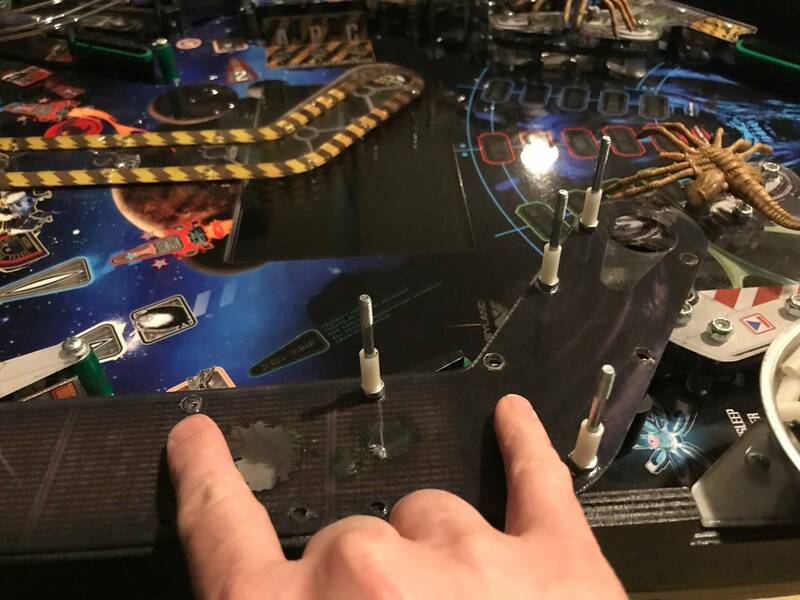 Remove a few of the remaining posts that keep the plastic in the game. With the plastic removed, remove the posts with nylon nuts underneath, documenting where they were installed . install the cliffy underneath with the tab facing up.. and reinstall the posts that attach with nylon nuts underneath. Then reinstall the lower plastic, wood screws, posts, spacers, etc. in reverse order. Nice write up and pics!! 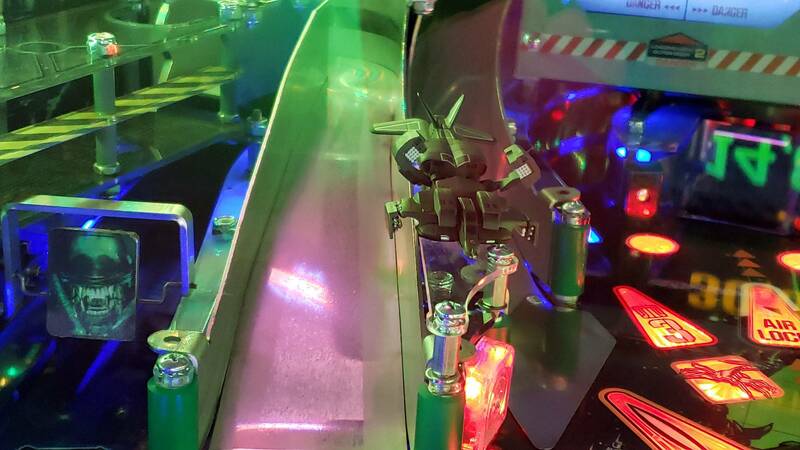 First major issue on my Alien after a few hundred games at Flip Out London - The right kicker started drooping, seen when the facehugger fell forward. When the mechanism was removed, it was a mess of sheered metal. I looked on the Swedish Freeplay site but they don't appear to stock replacements. 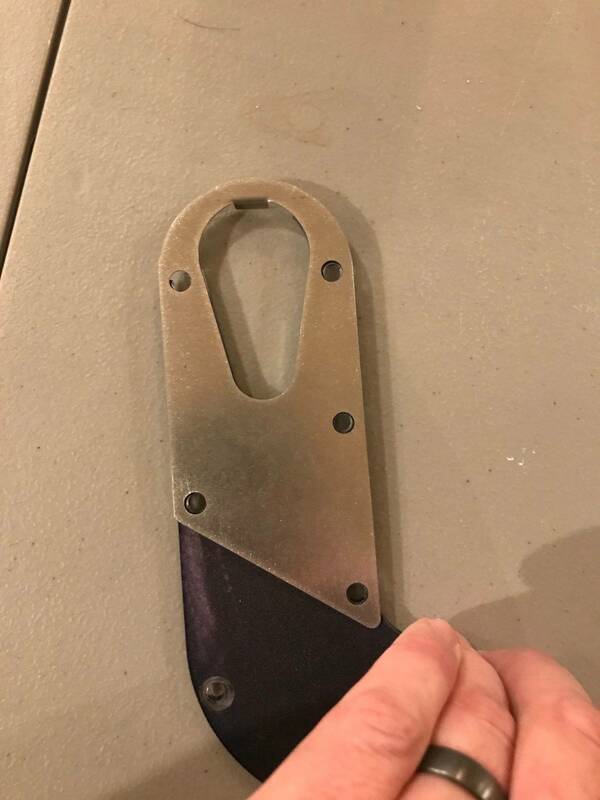 I could probably fabricate something but I wondered whether anyone has had the same issue? 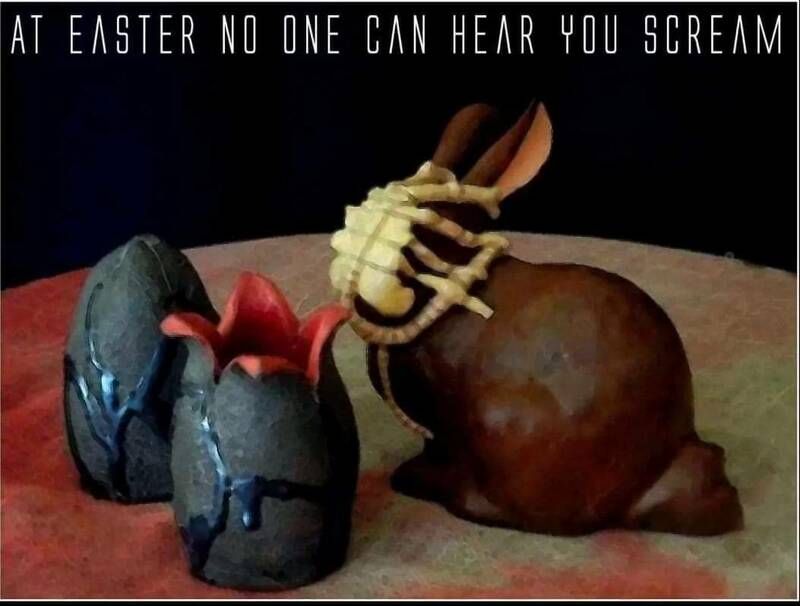 Did you get the last ones? I don't see them listed. 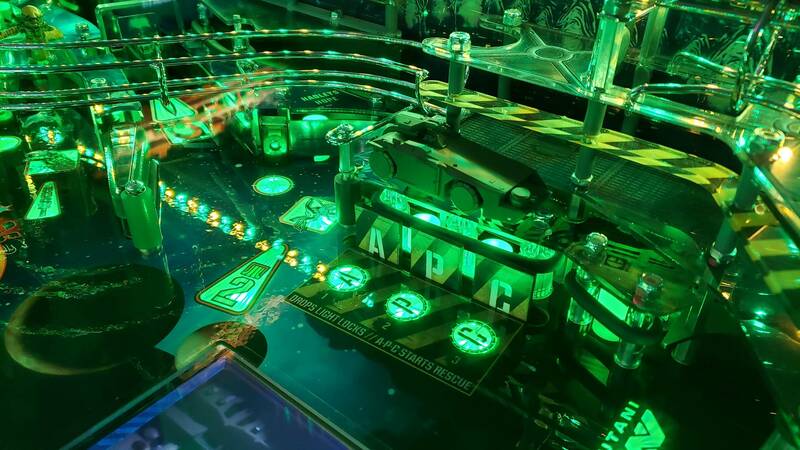 You are talking about Pinballife, yeah? 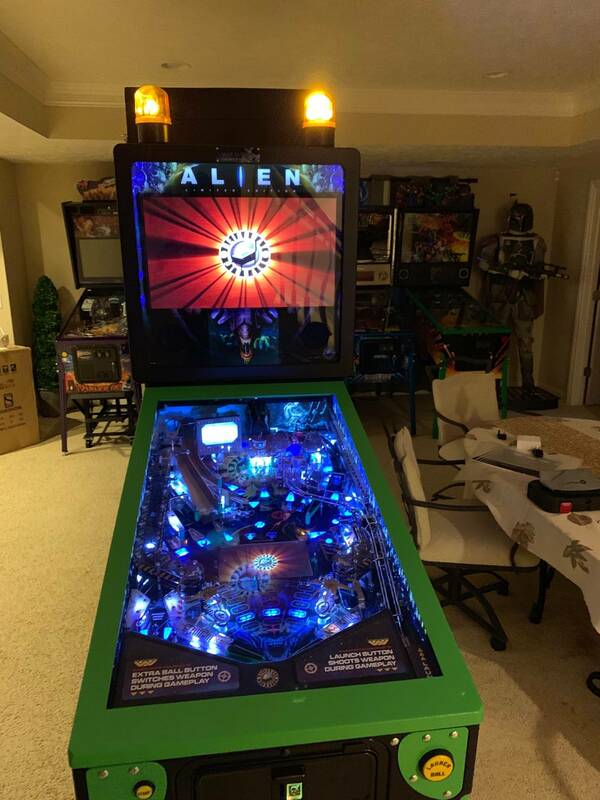 Looking for the lighted side art blades and a backup PF screen if anyone has any leads. Any ideas where to get a replacement monitor for the one standing next to the Alien creature in the back? I’d be interested in a backup of this as well. Yeah pinball life. I just checked and you're right. The three things I bought (which weren't cheap) are no longer there so safe to say whatever stock they have if alien parts are very limited. Here's the link to the pf replacement LCD. 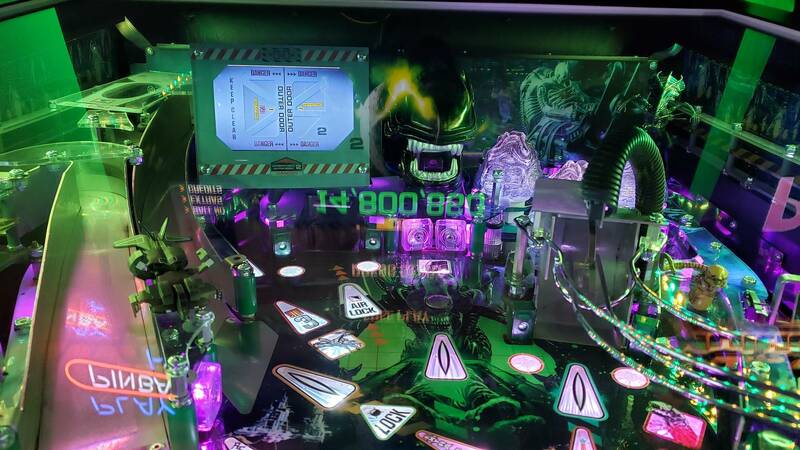 guys - just noticed pinball life added some new aliens part - specifically those super large monstrosities (also known as PCB boards)! When I originally had one those scared the hell out of me b/c they're so unique that if they were to go, it would be a problem. I haven't seen those for sell ever - I think with those being up for sale, we technically have access to all the critical parts. I just bought bottom, middle and top. Who knows how many they have so I would grab them now!